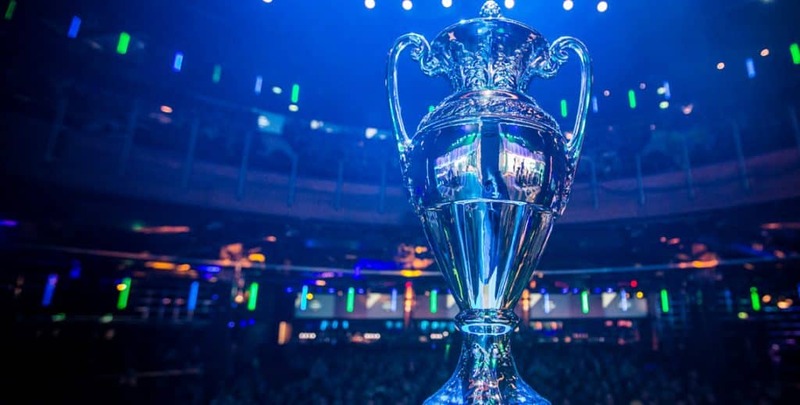 This week in Counter-Strike: Global Offensive features the ESL Pro League Finals. The best 12 EU and NA teams have fought their way to the live finals in Denmark. The event will take six days. The total prize pool is $750,000. You too can earn a lot of money with Master Mazuma betting. 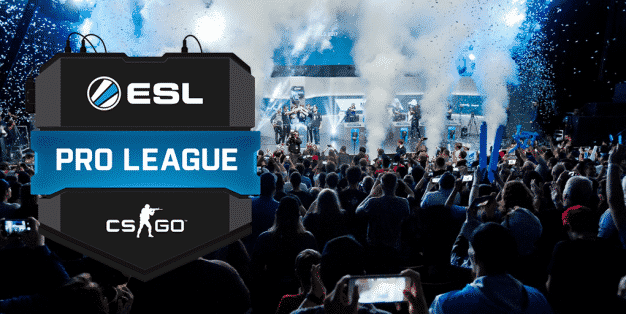 Read on to find out what the best odds are in the ESL Pro League Finals. G2 eSports won last year’s ESL Pro League Finals but failed to qualify this year. The favourites to win it all are SK Gaming and FaZe Clan. But there are many strong dark horse teams at this event. There is a lot of games to play and a lot of games to bet on. Will SK follow up their recent success with another win in Denmark? Or will FaZe step up to their potential and take home their share of $750,000? These are two potential outcomes, but there are many strong teams at the event. The teams are placed into two groups of six teams. Both groups have clear favourites, so we might see less group stage upsets. It might be best to play safe until the group stage is over. The quarterfinals will definitely feature much closer matches. Each team will play one game against every other team in their group. This means a total of five games for each team. The team that finishes as number one in their group immediately goes to the semifinals. The second and third place teams play each other in the quarterfinals. The bottom three teams are eliminated from the event. The quarterfinals and semifinals become best-of-three matches. The finals will be a best-of-five. Who will win the group stage? 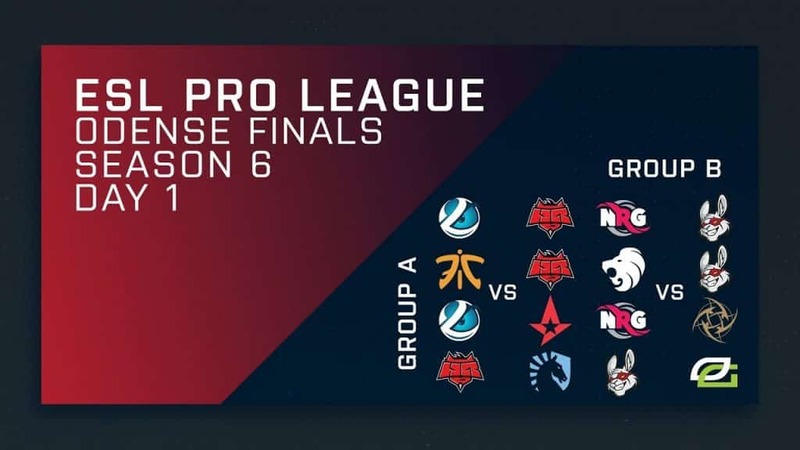 The 12 teams in the ESL Pro League Finals have been put in Group A or Group B. Both groups contain teams who can win the tournament. Let’s analyse the groups to see which teams are most likely to win it. Group A has three clear favourites: Fnatic, FaZe Clan and Astralis. All group stage matches are best-of-one though, which means it’s easier to cause upsets. Team Liquid and Hellraisers have both proven that they are capable of upsets. Luminosity is the weakest team and has the worst odds. The top three teams in this group are all playing well. FaZe has the most individual talent in the world. Based on recent results, FaZe might be the favourite to win the tournament. Read more about FaZe Clan in the Spotlight article. Astralis still misses its star player dev1ce. The team still finished second at BLAST Pro Series last week without him, behind the strong SK Gaming. Astralis also has the home crowd advantage, since they’re a Danish team. This might be the best place to make it far into the tournament. Fnatic is one of the most improved teams of the year. The Swedish team has the talent to make it far, but has to prove itself against the best teams in the world. Expect great results in the group stage. The playoffs is where it gets hard though. Group B has two favourites for qualification; SK Gaming and Ninjas in Pyjamas. The third spot is up for grabs for North or OpTic Gaming. SK Gaming comes into this tournament with recent wins at BLAST Pro Series and EPICENTER. The Brazilians might be the best team in the world. They beat Astralis, North and Ninjas in Pyjamas all at BLAST Pro Series. Ninjas in Pyjamas won IEM Oakland over SK Gaming and FaZe Clan. The team is coming into this event with confidence and strong form. North has a slight advantage over OpTic for third place. North has been playing better and better. The Danish team als has home crowd advantage, just like Astralis. OpTic struggles to play as team, but still has some of the best players in Europe. Nobody should underestimate OpTic. The weakest teams are Misfits and NRG eSports. Both played well enough to qualify for the Finals. However, they are outmatches by the strong top four teams in their group. Their upset potential looks quite weak. SK Gaming is the team to beat right now. SK won two of their last three live events and looks to be in top shape. Especially their leader FalleN has been playing great. He finished the BLAST grand final against Astralis with a 1.63 kill/death ratio. If SK’s other stars Coldzera and Fer can find their form as well, SK Gaming would be a good bet in the ESL Pro League Finals odds. Astralis was the big surprise at BLAST Pro Series, almost winning the event. The team has great momentum coming into the ESL Pro League Finals. Their biggest weakness is RUBINO, who is the stand-in for star player dev1ce. Astralis had little time to practise with RUBINO. The team will probably struggle in the quarterfinals. FaZe Clan has the talent and firepower to win this tournament. However, recent events have shown that the team has been struggling to find consistency. FaZe’s teamwork also doesn’t match that of other teams. FaZe relies on its star players to carry the team with their aim heavy style. This means that the players must individually outplay their opponents. Some teams have found ways to counter this with teamwork. FaZe’s leader karrigan will need to give the roster a more tactical approach to the matches. Ninjas in Pyjamas proved to be capable of upsetting top teams FaZe Clan and SK Gaming. The team defeated both to win IEM Oakland. Ace players f0rest and GeT_RiGhT are veterans of the game, on par with FaZe and SK’s best. Ninjas in Pyjamas could potentially win it all if the pieces fall into place. North could also cause an upset in Denmark. The team showed promise at BLAST Pro Series. They had some encouraging results against FaZe and Astralis. North might be able to turn the home field advantage into some upsets in the group stage. Now that you know more about the exciting ESL Pro League Finals, visit mastermazuma.com. Put your knowledge to the test and win a lot of cash! Next Next post: A 50 Million Dollar eSports Prize Pool?